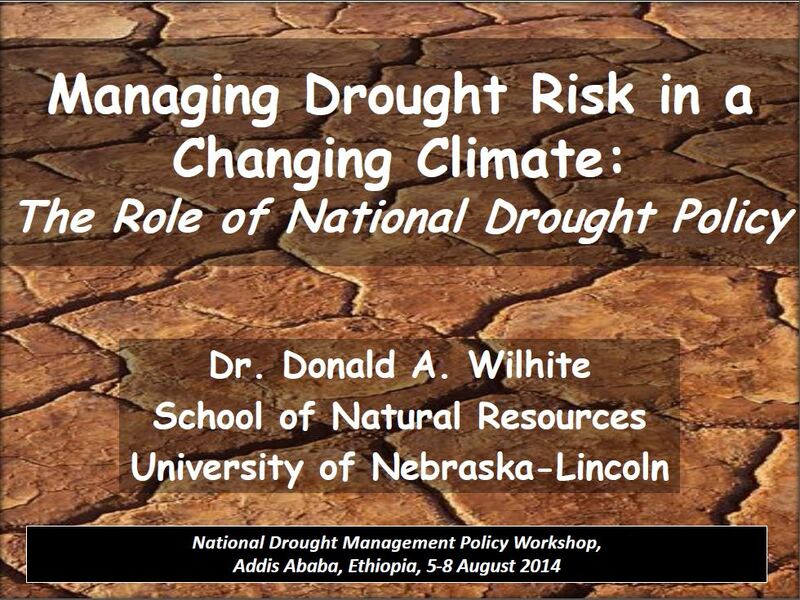 Drought not only affects all climatic regions but also it has the most disastrous effect among all natural hazards. 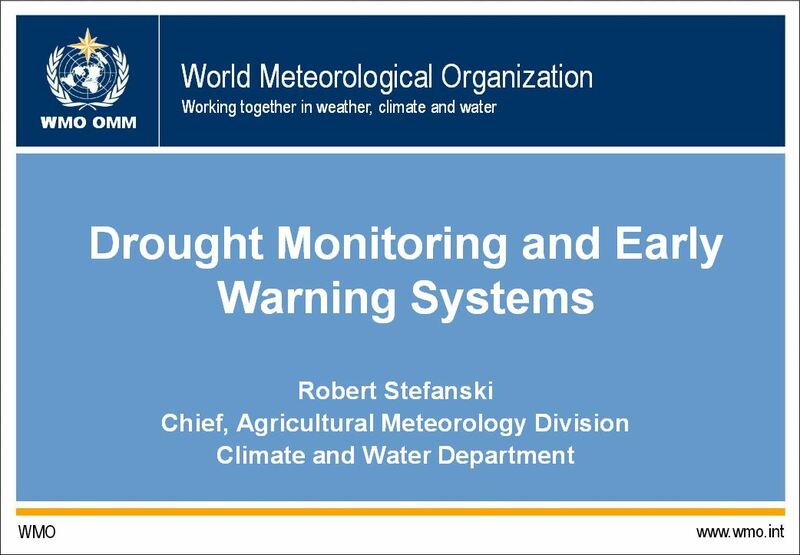 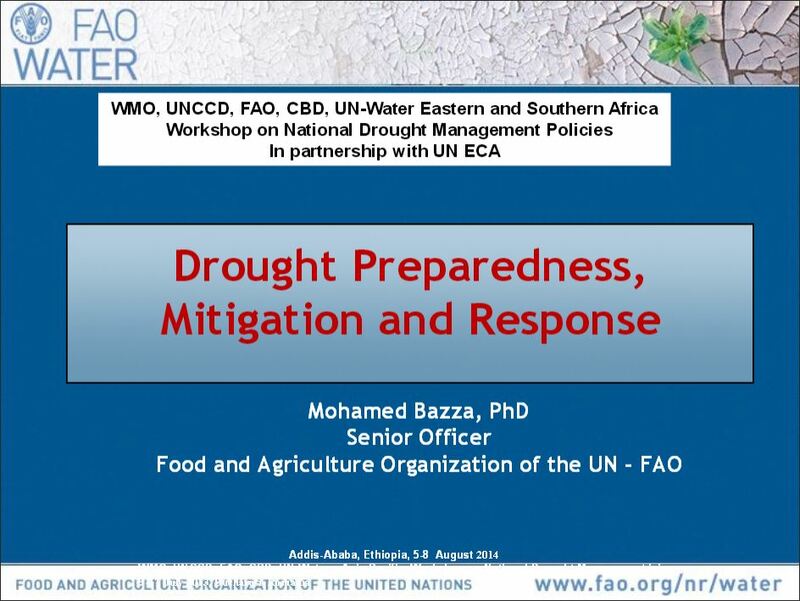 The impacts of drought can be significantly reduced through a shift from a crisis based, reactive and piecemeal approach of emergency and recovery to a more proactive and risk-based drought management strategy. 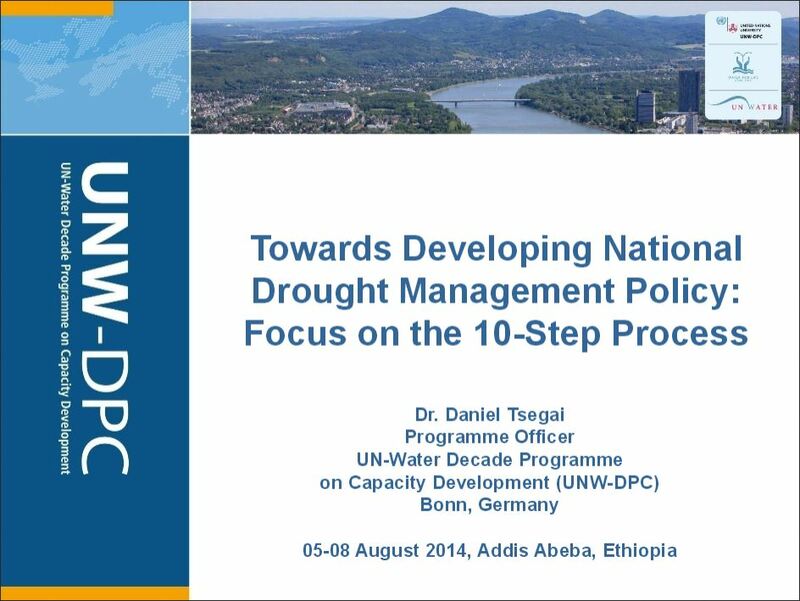 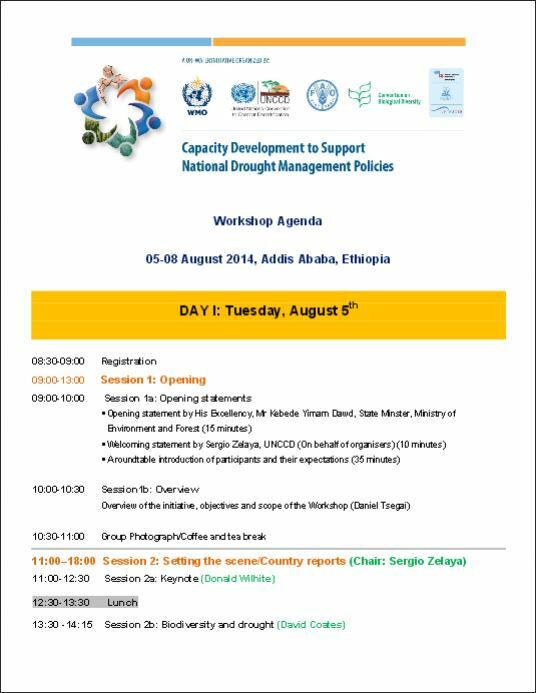 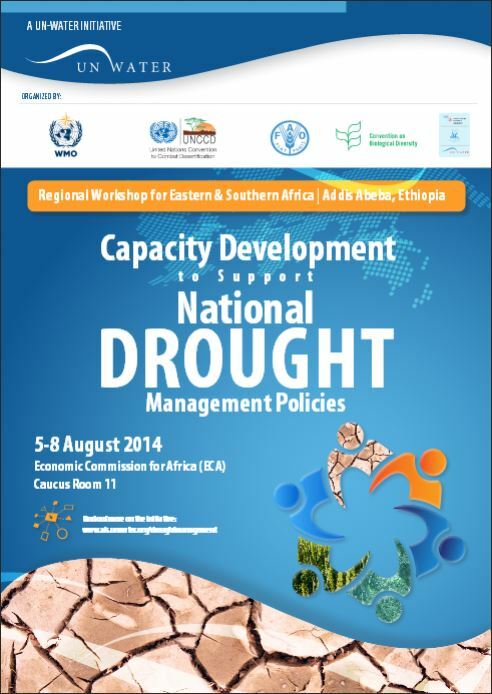 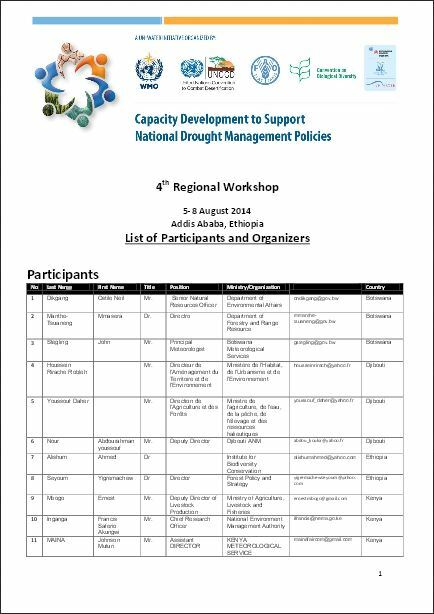 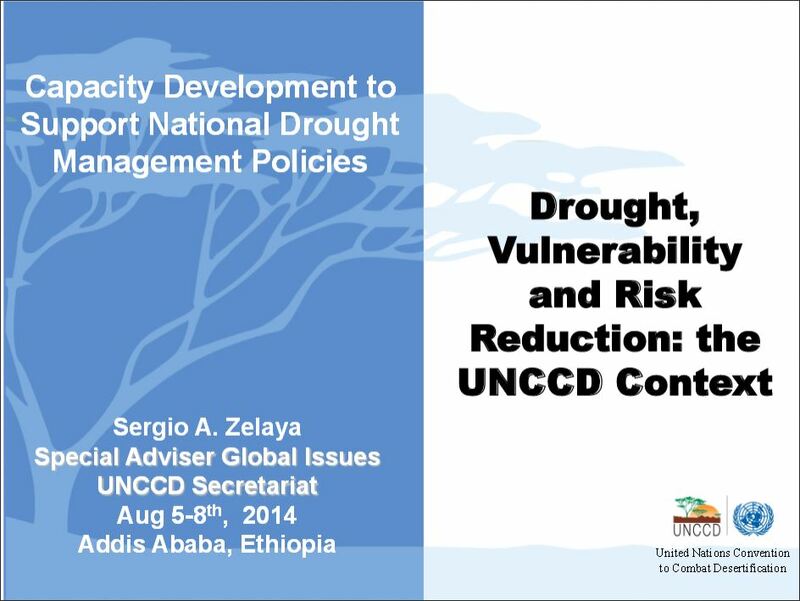 With the aim of supporting countries develop such proactive and risk-based national drought management policies, a UN-Water initiative on “Capacity Development to support the National Draught Management Policies (NDMP)” was launched in March 2013. 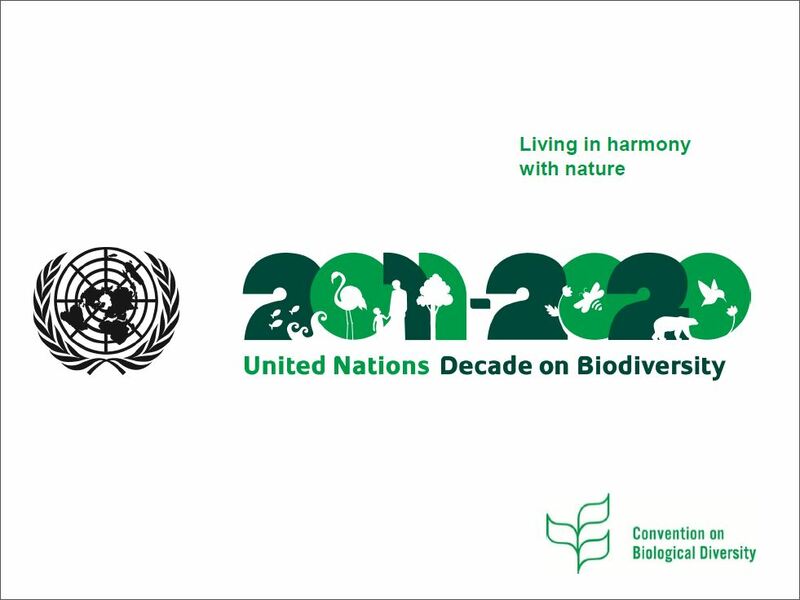 The initiative brings together the following UN entities: the Food and Agriculture Organization of the United Nations (FAO), the United Nations Convention to Combat Desertification (UNCCD), the World Meteorological Organization (WMO), the Convention on Biological Diversity (CBD) and the UN-Water Decade Programme on Capacity Development (UNW-DPC). 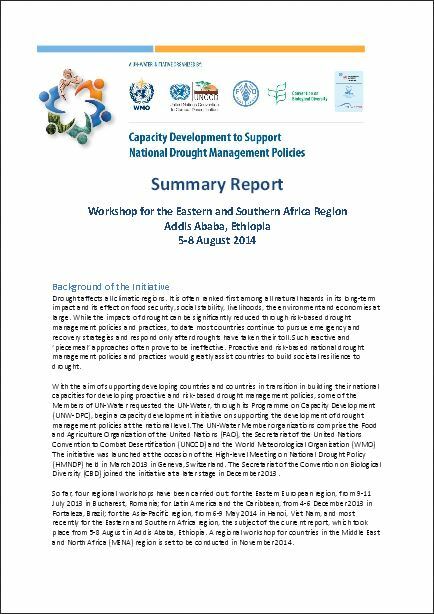 After successful completion of three regional workshops for Eastern Europe (9-11 July 2013), Latin America and the Caribbean (04-06 December 2013) and the Asia-Pacific region (06-09 May 2014) , the 4th Regional Workshop for Eastern and Southern Africa was held from 5-8 August 2014 in Addis Ababa, Ethiopia. 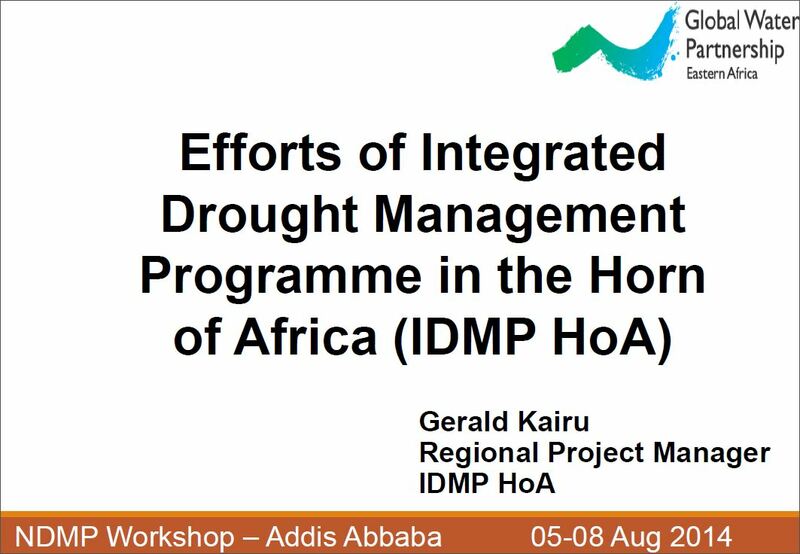 The workshop was attended by 40 participants from 12 countries: Botswana, Djibouti, Ethiopia, Kenya, Malawi, Mozambique, Namibia, Rwanda, Uganda, United Republic of Tanzania, Zambia and Zimbabwe. 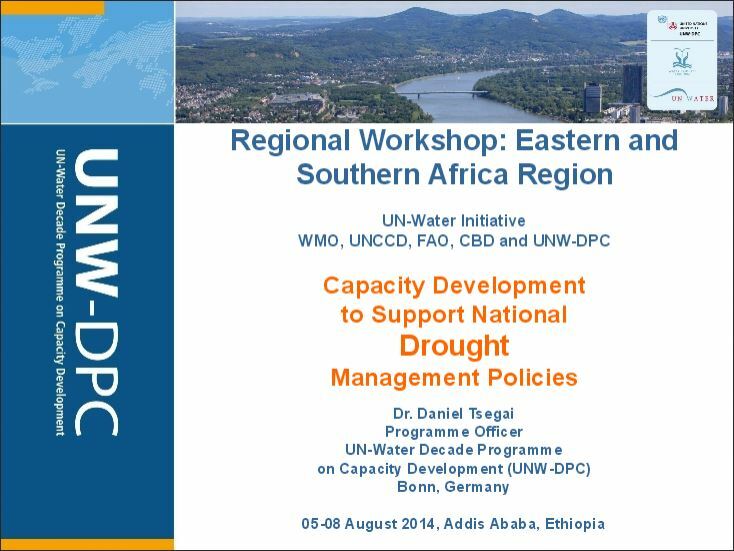 The purpose of this webpage is to present the detailed contents of the regional workshop for Eastern and Southern African countries.